Does Christian Addiction and Mental Health Treatment Really Work? Lighthouse Network > Resources > Mental Health > Does Christian Addiction and Mental Health Treatment Really Work? It sounds like the perfect math problem. Take a drug and alcohol addiction treatment program and add faith-based principles and values, which will hopefully equal healing and restoration. But does the equation really add up? Can Christianity and treatment work together? Do science, medicine, faith, and biblical teachings really mesh? Absolutely, in fact, patients have a much better chance of beating addiction when faith plays a role in the treatment. We can clearly see, both in research and from experience, the Christian way of life brings to the table characteristics that can battle everything from drug addiction and eating disorders to depression and suicidal thoughts. We know without a doubt that when we couple faith-based principles with treatment, there is a greater chance that the life will be restored. Encourages the patient more deeply. Connects us to a power greater than ourselves, which can help us overcome temptation. Promotes humility and honest self-assessment. Teaches the practical life management skills taught in the Bible. Helps patients connect to a community with powerful ties and support. Offers us forgiveness for all our mistakes. Helps us forgive others and let go of old wounds. Goes deeper than surface behavior, delving into the underlying core issues of addiction. Pain and discomfort are the driving forces behind dysfunctional relationships that can often lead to addiction, and the Bible explains how God heals pain and hurt. Likewise, resiliency—necessary for successful addiction treatment—is rooted in Biblical teachings and principles. According to Dennis Charney, M.D., Dean of Research at the Mount Sinai School of Medicine in New York City, some of the major characteristics of resiliency can be developed via Christian counseling and faith-based treatment programs, including optimism, altruism, faith, humor, a moral compass, a true meaning for life and having a powerful role model in Jesus Christ. About the Author, Karl Benzio M.D. Dr. Karl Benzio MD, Christian Psychiatrist, writer, speaker, media guest expert, social issue activist, and the founder and clinical director of Lighthouse Network. Benzio brings scientific expertise and biblical principles together to examine common daily struggles and help people successfully navigate life’s storms. His experiences include teaching pastors, ministry leaders and students about counseling, leadership, parenting, marriage, and conflict resolution skills in traumatized areas like Uganda, Kenya and post-Hussein Iraq. He is currently a member of Focus on the Family’s Physicians Resource Council, the Pennsylvania Director of the American Academy of Medical Ethics, and serves on many other social policy task forces. His specialties include adolescents, addictions, decision-making and infusing spirituality into treatment. 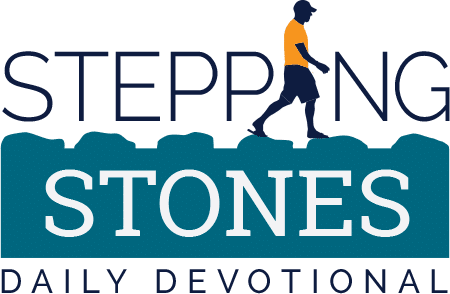 Benzio shares psycho-spiritual insights via his Stepping Stones daily devotional, on his one-minute daily radio feature “Life Change with Dr. Karl,” on 425 Christian radio stations and on iDisciple.org.